‘I’m 100 percent sure it’s authentic,’ said Kevin Marti after speaking with Fox News, not long after inspecting the car in Mexicali recently. The car which was discovered last year in Baja California Sur has now a white paint job and the original powertrain had long disappeared. The vehicle was originally the main stunt car for the movie and was sent to the junkyard soon after filming had finished. 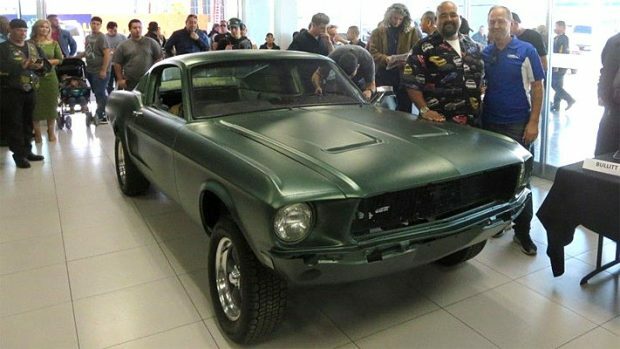 Hugo Sanchez who originally found the vehicle took it to a friends Mexicali custom car shop owned by Ralph Garcia, Jr., to be made into an Eleanor clone from the film ‘Gone in 60 Seconds,’ but after learning about the car’s true origins, those plans were scrapped. A Marti Report was ordered who keep the records of all Fords built from 1967 to present day and the VIN number was confirmed to be correct for the vehicle found in Mexico. “It’s not the first time one of these old movie cars showed up in a junkyard, but it’s rare,” Marti says. Some of the date stamps had been removed from the vehicle, presumably during filming, where other modifications was once the vehicles such as reinforcements and a possible replacement rear axle from a 67 Mustang. The car is now on the journey of a full restoration with help from Ford in Paramount, Calif., you are already sourcing the original parts for the vehicle. Offers have already started to roll in to buy the car, which at this stage will be hard to value, possibly when fully restored could potentially sell for millions, as do many McQueen related vehicles. Loren Janes who was one of the stuntman on the classic Bullitt film, said there were three cars used during filming, but at this point this is unverified. Next Story → The Fireball 900 Camaro: 990HP Now At Dealers!